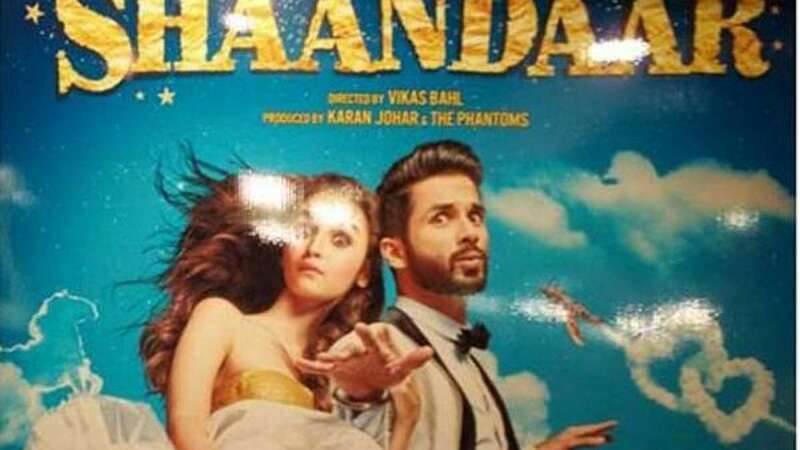 New Delhi : On Dussehra, Alia Bhatt and Shahid Kapoor came with ‘Shaandaar’ offering, but how great it was let’s find out. 1: Alia Bhatt straight away came as treat to eyes. And the credit goes to her unmatched styling in this one. 2: Shahid Kapoor delivers a kind of role people love to watch him in. 3: Pankaj Kapoor outshines everyone including the lead characters with his unmatched timing of dialogue delivery. 4: Shahid’s real life half-sister also impresses with the she carries herself in the movie. 5: Script wise it is lazily written and directed with no dedication. 6: Queen’s director Vikas Bahl fails to create the magic he had once created. 7: Editing also comes out with a big question mark. 9: Very average story of two sisters looks for a royal treatment and ends up being even less than average. 10: Watch it only for handsome Shahid and beautiful Alia’s chemistry. There is nothing more in the film that requires any sort of attention. In case you have decided not to watch the movie, at least watch the trailer as it comprises all the best parts in few minutes.